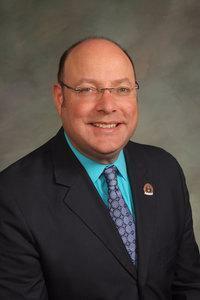 DENVER — A second Colorado lawmaker on Wednesday denied allegations of sexual harassment, this time made by a political organizer who claimed the legislator improperly touched him at a 2012 fundraiser. Democratic Rep. Paul Rosenthal of Denver denied the claims by Thomas Cavaness, a 29-year-old organizer for U.S. Rep. Jared Polis’ 2018 gubernatorial campaign. Cavaness, who claims Rosenthal touched his backside and tried to kiss him, said he was inspired to come forward by the “#metoo” social media movement in which victims worldwide have told their stories of sexual harassment and abuse. “I also want it to be known that there are men who are victims, and this is a systemic problem within the gay community in my opinion,” he told The Denver Post. Both men are openly gay. Rosenthal was a candidate for the state House at the time of the alleged incident, and he was elected in November 2012. His attorney, Harvey Steinberg, emphatically denied the claims. Cavaness told The Associated Press that sexual assault often does not involve romantic interest but is sometimes about power and control, and that he remained cordial with Rosenthal because he didn’t know how the allegations would affect his career. “I wouldn’t expect somebody being accused of something like this to be forthright and honest,” Cavaness said. Cavaness said Winter’s decision to come forward also inspired him to share his story.